An Italian state TV reporter aboard Sea-Watch 3 said the rescue took place Saturday about 50 kilometers (30 miles) off the coast west of Tripoli in Libya’s search-and-rescue area. Libya-based human traffickers launch flimsy or rickety boats crowded with migrants hoping to reach Europe and its opportunities for better lives. Separately, the Sea-Watch group tweeted Sunday afternoon that because it appeared no country’s coast guard had initiated a rescue mission, Sea-Watch 3 was heading toward a vessel with 100 migrants aboard that said it was taking on water. 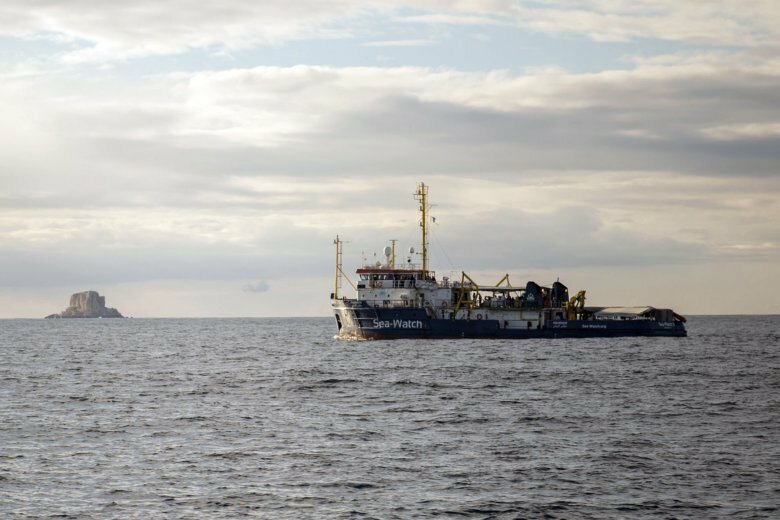 “We can’t cover by ourselves the Mediterranean, where persons are left to die,” Sea-Watch lamented, estimating that it would take it would take 15 hours for its boat to reach the stricken vessel in waters north of Misrata, Libya. Late Sunday night, the Italian coast guard said a cargo ship, flying a Sierra Leone flag and asked by Libyan authorities to aid the stricken vessel, had rescued all aboard. The condition and numbers of survivors weren’t immediately known. Quoting Alarmphone, Sea-Watch had said earlier that the migrant vessel reported navigational problems and that a child among them was “unconscious or deceased.” Subsequent communication said the boat was “taking in water” and seeking assistance, “regardless of what this would mean concerning a possible return to Libya,” Sea-Watch said. The Italian coast guard said that after the rescue, the cargo ship was awaiting instructions from the coordinating Libyan authorities about where it could take the migrants. The Libyan coast guard couldn’t carry out the rescue itself because it was busy rescuing 140 migrants on two other boats, the Italian coast guard said in a statement. Italy’s interior minister, Matteo Salvini, who leads an anti-migrant party, told reporters Sunday that Libya had completed the rescue of at least one of those boats, and reiterated opposition to any role by private rescue groups.